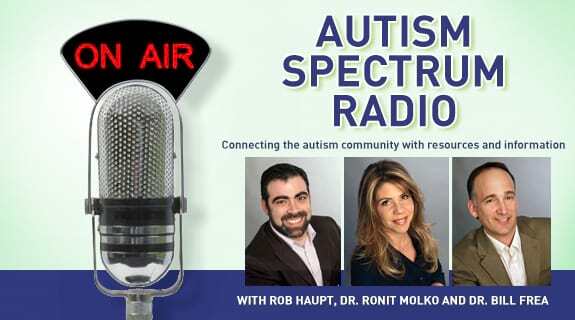 Autism Spectrum Radio is continuing our discussion of a wide range of topics that relate to the autism community. One thing that every family touched by autism needs is hope. Encouraging words and stories of another’s success can go a long way in helping a parent ready themselves for new challenge and another day. This week, Rob is excited to welcome author Mary Beth Marsden to our show to share stories from the latest edition of the Chicken Soup series which was written for the autism community. Be sure to catch this episode of Autism Spectrum Radio, Tuesday, May 14 at 11 AM. Mary Beth Marsden co-author of Chicken Soup for the Soul: Raising Kids on the Spectrum. For more than 20 years, Mary Beth was a local television news anchor/reporter at WMAR-TV in Baltimore. The mother of 3 children, one of whom has ASD, she is now producing stories in very much the same way as any broadcast news organization…Except these stories are all about wonderful kids who have Autism. Her website, Real Look Autism is, first and foremost, a visual resource and is also a place to share insights, information and strategies about supporting kids on the spectrum.